Jeep to serve as popemobile when pontiff visits U.S. The Jeep Wrangler, which is currently in the hands of the U.S. Secret Service, will be similar to one the pontiff used in July when he visited Ecuador. Need another example of how good things are going for Jeep right now? Even the pope wants one. The Washington Post reported on Thursday that Pope Francis will use a modified Jeep Wrangler as his official popemobile when he visits the United States in September. 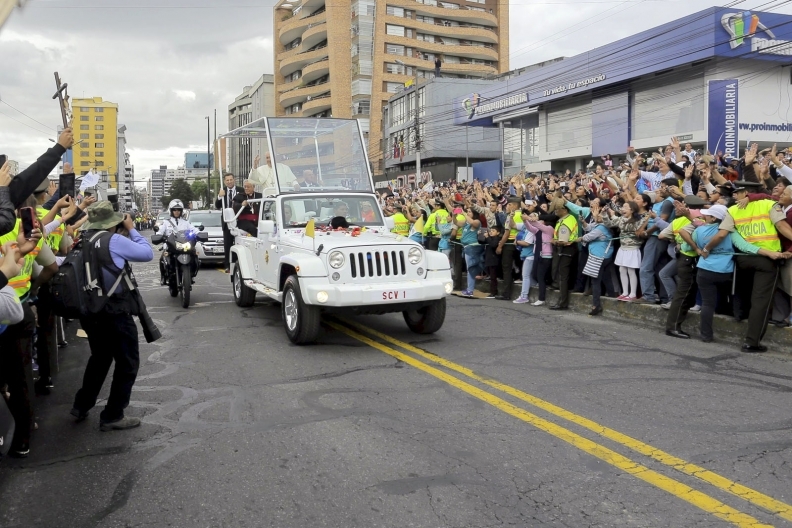 The Wrangler, which is currently in the hands of the U.S. Secret Service, will be similar to one the pontiff used in July when he visited Ecuador, the Post reported, citing the Holy See Press Office. 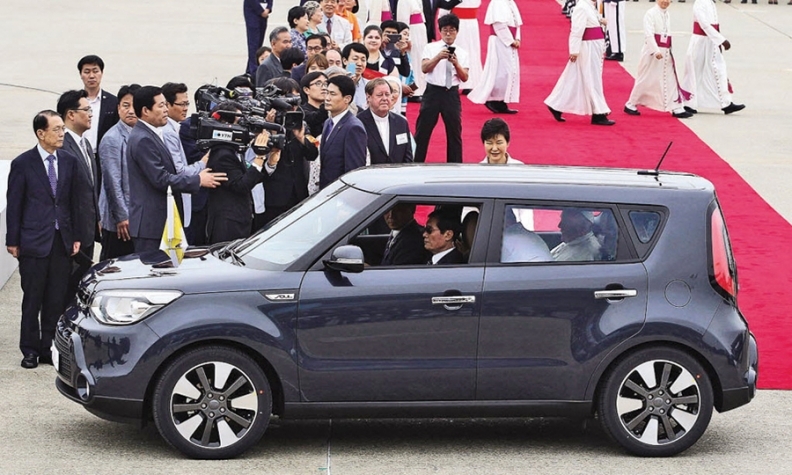 Kicking off a five-day visit to South Korea in 2014, Pope Francis slipped into the back of a Kia Soul and rolled down a window to wave at the welcoming party, including President Park Geun-hye. Pope Francis is scheduled to visit Washington D.C., New York and Philadelphia Sept. 22 to Sept. 27, and will meet with President Obama and address a joint session of Congress. Pope Francis has used a number of different makes and models to serve as his popemobile since he became head of the Roman Catholic Church in March 2013. While he will ride in a modified Jeep in September, Pope Francis has previously used other makes and models to carry him as he visits different countries. The Holy See Press Office said Pope Francis has also used Toyota, Mercedes, Isuzu, Kia, Hyundai and Land Rover vehicles as popemobiles.